I believe the most important factor in making good wine is temperate weather throughout the vintage cycle. Yes, the location and topography of the vineyard is important as is planting the right grape in the right soil, but none of this matters if the year is too wet, dry or cold, or if the vineyard experiences the devastation of hail or a vine killing frost. With that said, there’s some pretty good news for those who like to drink American wines. In California, after an uncharacteristically cool growing season in 2010 and an almost disastrous harvest in 2011, 2012 turned out to be both large and excellent and 2013 is proving to be almost as good. Amazingly, given the geographic diversity of the state, all AVA’s (American Viticultural Areas) have reported excellent wine in the last two California vintage years. That is already translating into better availability and steady prices for California wines, even those in the premium growing areas of Napa and Sonoma counties. Washington, which produces more wine than any state other than California, has had good to exceptional vintages in recent years. The 2009 vintage has resulted in very good cabernet, syrah and merlot while unusually good acidity helped the 2010 harvest overcome a cool growing season to produce excellent pinot gris and riesling. While 2011 was a very challenging year in the state, 2012 produced great quantity and excellent quality, particularly in red wines. The 2013 Washington vintage was very warm with abrupt cooling late in the year, but overall quality, especially for reds, is very good. There is also good news coming out of Oregon where there has been a string of good to excellent vintages. While 2011 was average at best, the 2008, 2010 and 2012 harvests have produced exceptional wine, particularly for that state’s premier grape – pinot noir. This past year has been called a tale of two vintages. Grapes picked before the rains began (and continued for 11 days) were exceptional while the jury is still out on those picked later. Why all this information on vintages? Well, as a home wine maker, I know first hand what a poor vintage can yield, particularly in the hands of an amateur. One year, confronted with a half ton of mushy, moldy grapes, I produced a foul smelling, horribly flawed wine that tasted not quite as good as witch hazel. But even professional vintners hold their collective breaths waiting for Mother Nature’s final verdict. The individuality of vintages reminds us not to take things for granted in the wine world. It is also an opportunity for we consumers to take advantage of an abundant and good vintage to stock up on the wines we love to drink. One important caveat, though, is worth noting here: even in poor vintage years, there are some hidden gems just waiting to be found. 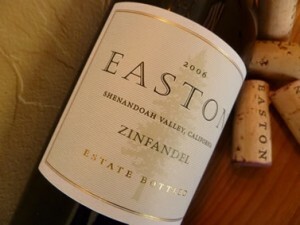 Here are few wines I’ve been sipping from a few of those good vintage years that you might consider: 2010 Easton Amador County Zinfandel ($17); 2010 Domaine Serene Yamhill Cuvee Pinot Noir ($44); 2012 Chateau Ste Michelle Cold Creek Chardonnay ($19); and 2012 L’Ecole No. 41 Semillon ($17).